Discover your style with two floors of fabulous fashion featuring over 70 designer brands, perfect outfits for special occasions and the latest seasonal collections straight from the catwalk. Just like having your very own stylist, you’re sure to find exactly what you’re looking for with our unique personal shopping service. Whether you want help picking out The One, finding your look or even curating your wardrobe for effortless style – season after season. Or why not simply come in to browse and fall in love with fashion all over again? Our blog has all the fashion inspiration you need, from sneak peeks of the latest trends and collections, to great ideas for every occasion. Great accessories can complete or transform any outfit so why not view a selection of our accessories online or visit us in-store to browse our unique collection – from shoes and bags to jewellery, scarves, belts, hats and more. 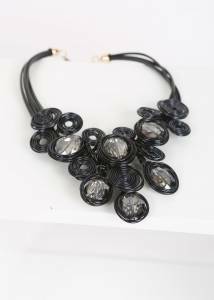 Nothing says style like a statement necklace, from classic to contemporary. Discover the must-have ‘it’ bags, available in-store now. We offer a unique shopping experience guaranteed to make your day – including personal shopping, in-house fitting and alterations and complimentary magazines and coffee. 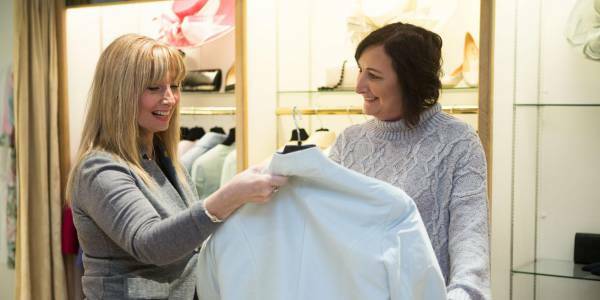 Just like having your very own stylist, our personal shopping service will help you find your perfect look every time – from that special outfit to a stunning signature wardrobe. We offer a specialist fitting and alteration service in-house, for a flawless, tailored finish exclusively for you. Sign-up to our monthly email for all the latest news – including new collections and brands, last-chance-to-buy alerts, special offers and articles hot off the press.